Absolutely delightful, this Aaron Basha charm will flit onto your bracelet on necklace with colorful appeal. 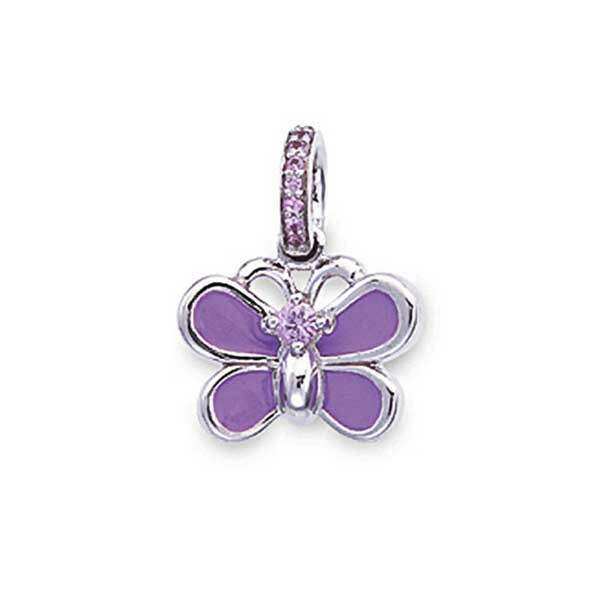 It's crafted in 18kt white gold in the shape of a butterfly, and a gorgeous violet enamel hue decorates the wings. A sparkly sheen from pink sapphires on the head and bail bring a dazzling finish to this amazing piece. Let the magic of Aaron Basha surround you with this fabulous butterfly charm.